What is the best vehicle for tax purposes? Operating a business tax efficiently is a key concern to all businesses. What is the best vehicle for tax purposes? The choice of a suitable business medium, for example, sole trader, partnership or limited company may have a substantial impact on the level of reliefs, allowances and tax levied on you and that business. 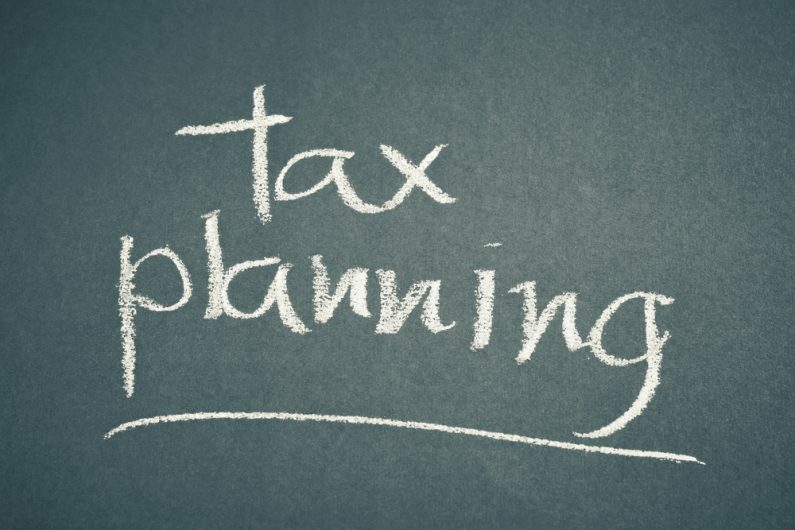 It is therefore essential to review the key issues to enable you to minimise tax liabilities. The briefing also introduces the issues which impact on changing your business structure from a sole trade or partnership to a company. To help manage the tax issues which we discuss here it is assumed that the individual or company has no other income or profit chargeable to tax and that no other expenditure or relief is available to relieve tax charges. The taxable trading profits of a business run by an individual as a sole trader are taxed directly on the owner, irrespective of whether the owner draws the money from the business for personal use. The same applies to the profit share of a general partner in a partnership (including a member of a Limited Liability Partnership). The principle applies for both income tax and NIC. any further profits are charged at 40%. Where taxable profits exceed £100,000 the personal allowance is reduced by £1 for every £2 in excess of £100,000 so that there is no tax-free allowance once income reaches £121,200. If profits reach £150,000 the excess profits are taxed at the additional rate of 45%. any excess is charged at 2%. Running a business as a partnership, with a spouse sharing profits equally, rather than as a soletrader may result in tax savings depending on the precise circumstances. When the trade is carried out in a company, the company not the individual initially suffers the direct tax charge on the taxable profit. The rate is 20%, irrespective of the level of the company’s profit. The owners, who are generally both shareholders and directors, only suffer tax and NIC on any profits extracted from the company, so any profits retained in the company are sheltered from personal tax rates. There are a number of different methods for the individual to extract profits, and tax rates and NIC may need to be considered to minimise liabilities. Currently, lower tax liabilities can arise on capital gains compared to income extraction but capital treatment is generally only available in limited circumstances, such as when the individual sells their shares or the company is liquidated. In the meantime, director/shareholders will need to extract income for personal living and this has a tax and in some cases a NIC cost. The two common methods used are remuneration and dividend. Tax relief is generally available for director/employee remuneration including NIC costs but not for dividends. Any form of cash remuneration (salary, bonus) and taxable benefits (medical insurance, car, etc.) are taxed as employment income attracting the normal income tax rates as outlined earlier. In addition, employment income (excluding benefits) attracts Class 1 NIC for both the individual and the employing company. This is 12% for the individual on any income in excess of £8,060 up to a limit of £42,385, then 2% on any excess. The employer is liable for 13.8% Class 1 NIC on all earnings in excess of £8,112 with no upper limit and, although employees are not liable to NIC on benefits, generally Class 1A NIC is due from the employer at the same 13.8% rate. In many cases the overall tax cost to the company and the individual of remuneration is higher compared to a dividend. The Chancellor, George Osborne, announced in the Summer 2015 Budget a shake-up in the way dividend income is taxed from April 2016. Dividends are often used in combination with remuneration to obtain the most tax effective extraction of profits when the business is carried on through a company. A small salary can preserve entitlement to the state pension and allows the tax efficient use of the personal allowance. How does a company compare with the sole trader or partner generating taxable profits in an unincorporated business? At many levels of profit, business owners will pay less tax trading as a company rather than a sole trade or partnership. The NIC savings available to business owners if most of the profit is returned to the business owners as dividends are a significant factor in the savings. Anthony and Cleopatra make annual profits of £100,000 as a partnership. The business year end is 31 March. As partners their total tax and NIC liability for the 2015/16 tax year is £25,584. So the total tax and NIC liability as a company is only £18,106. Whilst this shows that tax savings can be achieved by carrying on a business through a company, tax should not be the only factor considered before incorporating a business. One of the reasons many businesses start off as unincorporated is that the reliefs available to relieve any trading losses are generally more flexible than the equivalent available to a new company. The idea is that losses are more likely in the early stages of business development, so early and effective use not only saves tax but is cashflow beneficial. There are some caps to the use of loss relief for larger losses. A tax loss could be created even though the business is profitable in the early years. This can occur if the business incurs significant expenditure on plant and machinery. The main relief available to business owners to reduce the tax on gains on certain disposals is Entrepreneur’s Relief (ER). This is available on gains of up to £10 million on a qualifying material business disposal and applies to both unincorporated business interests and company shares. The rate of capital gains tax is 10% rather than 18% or 28%. A property personally owned but used in a trading partnership or company may also qualify. Detailed conditions apply and it is important to plan at least 12 months ahead to secure the relief effectively e.g. an individual with trading company shares must have held 5% and be an officer/employee of the company for the 12 months leading to the disposal. The key inheritance tax (IHT) relief for trading businesses is generally available at a rate of 100% for both unincorporated business interests and unquoted company shares on lifetime gifts and at death. Where a trading property is not held on the balance sheet of a partnership or a company as it is personally held outside the business, this will only qualify for 50% BPR at most. In addition, in relation to a property used in your trading company there is a risk of no BPR being available unless you have and retain control of the company’s voting power. If circumstances induce you to incorporate your existing unincorporated business to obtain income tax and NIC savings, there will be a number of factors for you to consider. Key non tax factors include being aware of the legal and accounting formalities of operating a company and ensuring that practical matters of the transfer are considered e.g. new business stationery and informing customers, suppliers and the authorities such as HMRC. Incorporation means the trade ceases for income tax and a new trade starts in the company. This may lead to profit distortions in the final period if careful planning is not considered. It also often involves the disposal of assets to the company which can impact upon both capital allowances and capital gains. Properties are often retained in personal ownership. This is generally done to minimise the overall tax charges on a future disposal of the property as corporation tax would arise on any gains and also personal tax on extracting the rest of the profit. It also avoids Stamp Duty Land Tax which may apply on the transfer. Gains can also arise on the transfer of goodwill. A recent change potentially restricts the availability of ER on the incorporation of a business if there is a sale of goodwill involved. Jack decides to incorporate his 10 year old trading business. The goodwill is valued at £500,000. Under the previous rules, Jack could sell the goodwill to the company and leave the consideration outstanding. ER would have been due on the gain. Jack could then draw against this money in the future with no further tax liability. In addition, the company could have claimed tax relief on the purchase. For disposals on or after 3 December 2014, no ER is available for Jack and no tax relief is given to the company. Once in a company structure any decision to transfer back to being an unincorporated business is also a trade cessation with a disposal of chargeable assets. The critical difference is that there are fewer reliefs available to ensure the process is tax efficient. This emphasises the point that long-term considerations should be taken into account as well as short-term tax advantages in choosing and changing business structure. Many of the issues contained in this briefing have detailed rules which must be properly considered to achieve the desired outcome, so please contact us to review the areas suitable for your specific aims.